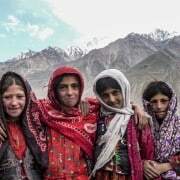 Afghan Pamir Archives | Untamed Borders - Adventure travel.. In September 2019 we will be heading to one of world’s most remote corners. A 22-day journey to visit the land of one of the world’s last and least visited nomadic cultures: the Kyrgyz of the Afghan Pamir. We will begin and end in Tajikistan’s capital Dushanbe before travelling along the dramatic Pamir Highway and crossing over into Afghanistan. We will then pass through the Wakhan Corridor to the Afghan Pamir. The last section of this journey will be made by foot as we make our way to the summer grazing grounds of Chaqmaqtin. We will have the opportunity to encounter Kyrgyz and Wakhi nomads who graze their livestock here during the summer months as well as seeing ancient tombs and Buddhist engravings, which live as a reminder of this once great section of the Silk Road. After collecting guests from the airport we head straight out of Dushanbe driving along the Pamir Highway towards the town of Khorog. We will overnight in Kalaikhum before taking a rest day in Khorog, nestling on the banks of the Panj River. We will stay overnight at a local homestay and begin to acclimatize to the mountains and explore this typical Tajik town of the Pamirs. Please note – if we need visas for Afghanistan for any of the group we go straight to Khorog in one long day and have a rest day in Khorog. However, we strongly recommend you arrange your Afghan visas prior to your trip. We will drive to the border town of Ishkishim and cross over into Afghanistan. Once in Ishkishim we will be staying at a guesthouse converted from the home of a local man or we will stay nearby in Qazideh. With the help of the Aga Khan Foundation local families are earning a little extra income this way. We spend one whole day in the area with our guide, making the final preparations and collecting our permits for the Wakhan region. Once we have left Ishkishim we will have to be self sufficient for 14 days and we need this day to ensure we have everything arranged. You will have time to explore the local environment and understand some of the Wakhi culture through our Wakhi guide. The 250km from Ishkishim to Sarhad e Broghil takes us along the narrowest section of the Wakhan Corridor. Passing the 7492m high Noshaq, Afghanistan’s highest peak, we will follow in the footsteps of Marco Polo and Hsuan Tsang on this ancient silk route. The road is poor and can be washed out in places but we hope to make it in two long but scenic days. We will have to stop in the village of Khandud to process some further paperwork and we plan to overnight in the village of Qala e Panja. We make our way to the furthest point that we can by vehicle. At Sarhad e Broghil the road ends and any further journey must be made on foot or by horse. We spend the afternoon making our final preparations for our trek into the Afghan Pamir. The geography of the region means that one of the toughest days trekking comes on the first day. The Wakhan Corridor becomes too steep to follow the river. For the first time since we joined the Panj River we move away from it, and instead must cross three passes. The first is the Daliz Pass (4260 metres) and will involve a vertical altitude gain of 1000 metres. We will overnight in Shawr. A further day’s trekking along the bank of the Wakhan River. We may meet Wakhi shepherds bringing their flocks back to the bigger villages for the winter. Trek from Varsgitch to Masamarad via Langar. Langar means ‘free buffet’ and is a classic spot for the Wakhi to graze their sheep and yaks. The scenery gradually changes walking from the steep sided valley of the Wakhan to the wide-open plains of the Afghan Pamir. Passing by Khach Goz, we make our way further to Bozai Gombaz which is one of the largest Kyrgyz settlements in the area. At Bozai Gombaz there is a chance to visit the nearby Kyrgyz tombs, rest or simply watch the Kyrgyz way of life. An easy days trekking up one of the sources of the Amu Darya, the 9km long Chaqmaqtin Lake where the Kyrgyz nomads graze their sheep and yaks in the summer. We may well see a Bactrian camel train too. If weather permits we will take the tough but spectacular high route back from Chaqmaqtin to Sarhad. Seeing more of the stunning Pamir Mountains. We return across the high plains, camping at the small Kyrgyz camp of Kurchin high above Bozai Gombaz. After 2-3 hours the group will be at the top of the Aqbelis Pass (4600 metres) with great views of a small alpine lake. Another hour brings the group to a delightful lunch spot. In the early afternoon the group will arrive in Ghughumdeh for the night. Possibly the toughest day of the trip. Certainly the crossing of the Uween Sar Pass (4850 metres) is the highest point reached on the trip. An early start should see the group cross the pass around noon. From then on it is downhill to the small camp of Nauabad. A full day of rest and relaxation, or even a short day hike, in Nauabad. A short days trekking between Nauabad and Sang e Nauishdah. Overnight in Sang e Nauishdah. If the river is low, as it can be at this time of year, then we have an option of making this day an hour or so shorter by fording the river to reach our overnight camp of Shawr. If the rivers are still high then we will cross the river near Boharak. A final crossing of the Daliz Pass (4250 metres) before the descent back into Sarhad e Broghil, where we will spend the night. Our vehicles will be waiting to take us back towards Tajikistan. We will say goodbye to our horsemen here. The drive back to Ishkishim should be relatively smooth at this time of year as the river levels are low after the summer snow melt. Once back in Ishkishim there will be time to rest and say goodbye to our Wakhi guides. We cross back into Tajikistan and head back up the Pamir Highway. Khorog will seem like Las Vegas after nearly three weeks in the Pamirs. The long drive back to Dushanbe will be broken at the small town of Kalaikhum. A final meal together in Dushanbe. You will be accompanied by an experienced international guide from Untamed Borders for the entire length of this trip. Please note, the itinerary is what we hope to achieve on this trip – the actual route in the Afghan Pamir can vary due to weather or other restrictions. Our trekking trips are designed to be physically engaging and provide a level of challenge for most people. As a general guideline, we recommend that you have some prior experience walking with a 10-15kg day pack for up to 8 hours over 5 or more days through uneven & varied terrain (and weather); ranging from hard-packed earth, tussock grass, boulder fields, scree slopes, soft snow patches, and knee-deep rivers. You will need Double entry Tajikistan visa with GBAO permit and an Afghan Visa for this trip. We will assist with advice on how best to obtain these visas as visa requirements vary from country to country. Obtaining a Tajikistan e-visa (either two single entries with different ‘valid from’ dates or a double entry) is the quickest method. For the Afghan visa we will issue you a letter of invitation to provide along with your visa application at your embassy/consulate. Outside of Dushanbe options will be limited and once we are on the trek we will only be able to eat what we bring with us, or barter for from the nomadic people. Any specific allergies or dietary requirements can be accommodated if we are given prior warning. Please feel free to bring your own energy bars/trekking snacks from home, if you want to supplement it with what we provide you. We always check the vehicles we use thoroughly before each trip. In Afghanistan we aim to use four-wheel drive vehicles and our international guides will carry a satellite phone should the vehicle develop a fault. For this trip we use team leaders from Untamed Borders who have experience of guiding in the Wakhan. In addition to these experienced leaders we will be working with local Wakhi guides and porters.